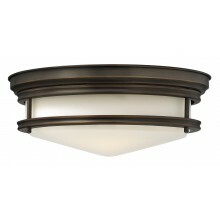 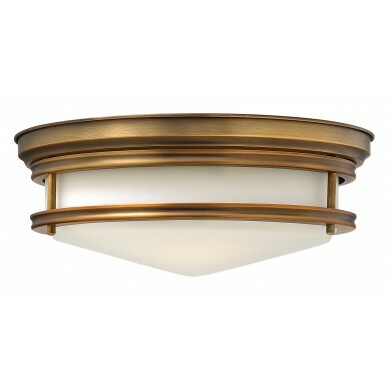 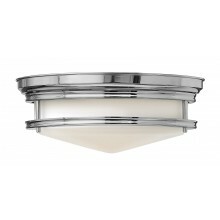 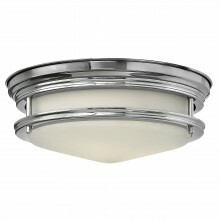 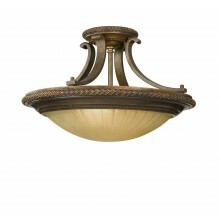 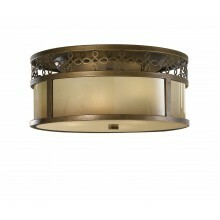 This product is a three light flush ceiling setting with a retro flair and a simple design. 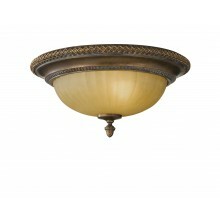 It has a basic frame in an elegant brushed bronze finish and a one piece glass shade in an opal tone. 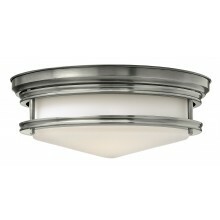 It uses three 100w bulbs but has no exposed bulbs. 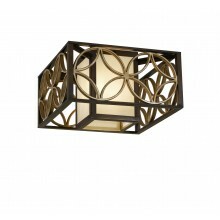 This piece will provide sufficient lighting for a bright hallway, bedroom, living room, or office space, and create a warm and inviting atmosphere in the room. 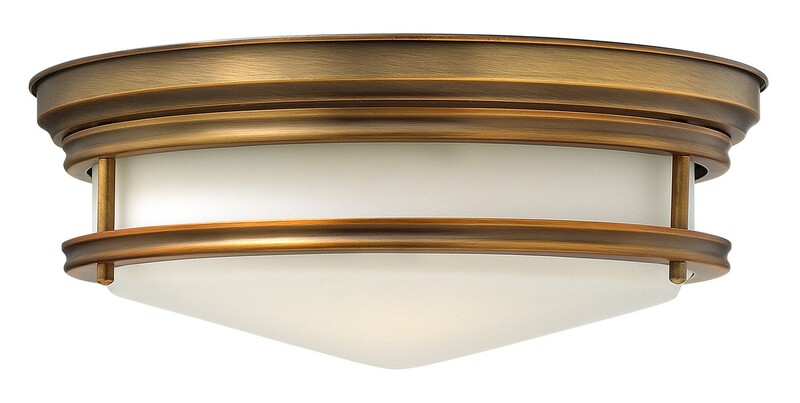 Because it is a relatively small fixture and fits flush against the ceiling, it is also ideal for basements or rooms with inconveniently low ceilings.